Thera-Sea provides life changing stress management retreats by the coast that are educational and exciting in equal parts. We take well-being back to basics within nature and can be delivered worldwide by specialist clinicians. The educational courses break free from outdated preconceptions and enable people to take back control of their lives through a lifestyle approach to health. We help develop a greater knowledge of the body’s systems and how to utilise coping skills that can transform peoples lives. Good mental and physical health has become far too confusing and we’re up against lots of contradictory information. 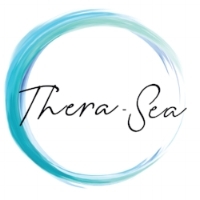 Thera-Sea aims to improve lost connection with nature and our own well-being. The good news is that there is a proven way to successfully treat stress. It’s called progressive lifestyle medicine. Thera-Sea is dedicated to this new and effective way of thinking.